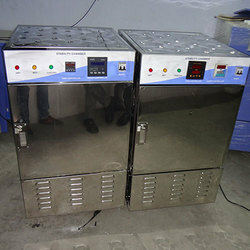 We offer a wide range of scientific & Laboratory Chambers that are precisely designed to create test chambers for carrying out studies on various environmental parameters such as humidity and temperature. 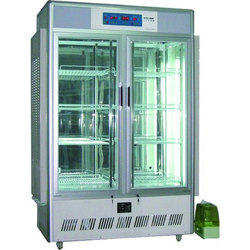 Plant Growth Chamber is useful for seed testing, biological studies, forestry research works etc.With a solid see thru the double walled door and a full view inner plexiglass door enables inspection and monitoring of inner chamber specimens without disturbing the process temperature. Excellent quality magnetic gum packing door gasket for an external door.User-oriented design of shelves makes you adjust each space of shelves without difficulty.Forced air circulation at the triple walled back by the durable coaxial blower, maintains optimum temperature uniformity and homogeneity. High-grade PUF INSULATION between outer and inner chamber for minimal thermal losses. The front double walled door is provided with lock and key arrangement. Illumination FLT Tube is fitted inside the chamber for easy visibility. Safety Thermostat to prevent overheating. Insulation High-density PUF insulation for tighter temperature controls. Fitted with Microprocessor based. Our clients can avail from us a large gamut of Humidity & Temperature Stability Test Chambers. The intensive R & D conducted by us establishes our range at par with the international standards and ensures complete calibration & validation for the same. Our products comply with IQ, OQ, and PQ protocols and are ideally suited for a large number of applications. 50 X 50 X 50 X Cm. Ht. 50 X 50 X 70 X Cm. Ht. 60 X 60 X 90 X Cm. Ht. 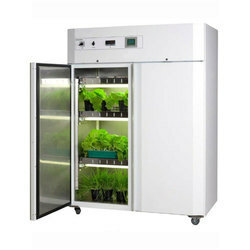 We offer Scientific Plant Growth Chamber Inside made of Anodized Aluminum outside Mild Steel with epoxy powder coating fitted with cooling, heating and lighting arrangement. 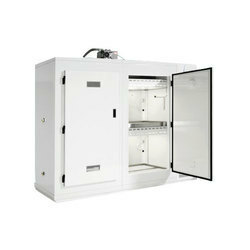 Above Growth chamber is complete with Humidity control from 55% to 95% at cool temperature. Light intensity can be adjusted by controller according to requirement and humidity is controlled by humidity which gets completed with 0-24 hrs.Timer.